Donegal beard, which is also popularly known as ‘chin curtain beard‘ is famous since it was donned by the 16th President of United States, Abraham Lincoln. 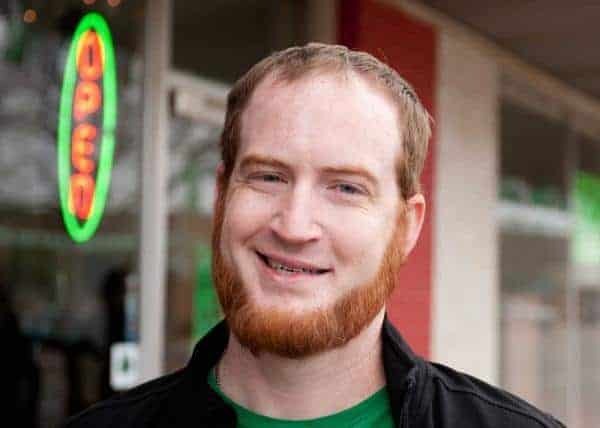 It is very common these days, especially among married Amish men, who keep long Donegal beards and shave off their mustache. When you choose a donegal beard, pick one carefully according to your face. If you wore a beard just because you saw some other men looking good with it. Below are 10 of the most popular and trending donegal beard styles in 2019. If you are looking to get a classic look with donegal beard then get your beard styled in this manner. This bold facial hairstyle includes a grown beard curtain falling the chin which is perfectly trimmed in a triangular shape. A mustache is connected to the beard on both sides. The sideburns are disconnected, well groomed and short. This donegal beard variation is the famous beard style worn by Leonardo Dicaprio in the Hollywood movie “Django Unchained”. You can grow a heavy, long and rugged beard extending from below the right sideburn to the left, covering the jawline and the lower chin area to get this style. There is a light handlebar mustache connecting the beard on both the sides. The sideburns are trimmed and short. This is a great look to try out. This is a simple yet attractive Donegal beard look to try. You need to incorporate a very long curtain of hair extending from the chin to the chest. There is a short trimmed beard extending from right jawline to the left via the chin with a strongly connected mustache. The sideburns are thick and long meeting the jawline hair on both sides. If you want to get this look, grow small and trimmed chin curtain hanging from the lower chin and extending on the jawline on both the sides. There is a pencil mustache connecting the beard on right and left sides. The thin pencil sideburns matching the mustache are long and meet the jawline hair. To get the look of chinstrap beard with a Donegal, you need not work too hard. This style has a small trimmed hair curtain hanging from the chin accompanied with a chinstrap beard extending from right jawline to the left via the chin. The mustache is clean shaved and the sideburns are thin and long, meeting the jawline hair on both sides. This look suits only a few individuals, but is simple to get. You need to grow an evenly trimmed beard extending from right jawline to the left via the lower chin. The facial hair on the jawline, lower chin and neck are trimmed to match the same length. The mustache and the upper chin area are clean shaved. If you want to try out something that is simple and easy to maintain, try out this style. The beard style has an evenly trimmed short beard extending from right jawline to the left via the lower chin. The facial hair on the jawline, lower chin and neck are trimmed to match the same length. The mustache and the upper chin area are clean shaved, and the sideburns blend into the jawline hair. It is one of those styles that makes you look charming and hot. The style incorporates a thick Donegal beard extending from right jawline to the left covering the full chin. The sideburns are strong meeting the jawline hair on both sides. There is connected strong mustache matching the thick beard. Heavy Donegal beard is something that is a bit tough to maintain. In this Donegal beard style, a heavy chin curtain is grown that extends from the right jawline to the left covering the chin area. There is a soul patch below the lower lip and a preened and disconnected handlebar mustache. The sideburns are very thick meeting the jawline hair on both sides. Because of such long beard, beard dandruff can occur. Read our article on beard dandruff in that case. The very long Donegal beard style suits old men more. This beard style has a long chin curtain extending from lower chin to the chest. The sideburns are long connecting the jawline hair on both sides. The mustache and the upper chin area are clean shaved. If you decide to cut off, use any of these beard trimmers. Choosing the right beard is the most important step to style facial hair. If you choose a wrong one then all your efforts will go in vain. Hope you have enjoyed this list of Donegal beard styles to get some ideas. Let us know if you like Donegal beards. If you don’t like it let us know why.